Christina Grimmie was shot and killed while doing a free M&G in Orlando. Her twitter fanbase would like to remember her this way. 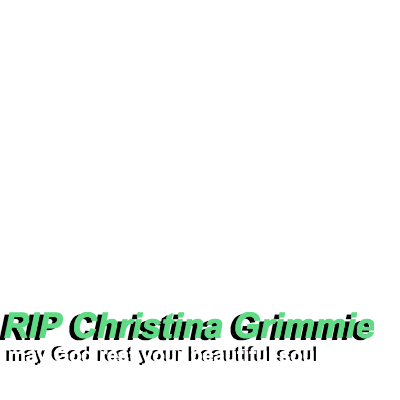 Team Grimmie forever, we will always love you Christina. Christina will always be known as a sweet girl, and by doing this twibbon we mean no harm- we would just like to remember her as how she was.